Catch Bull at Four was, surprising to me, Cat Stevens most popular album in the United States. If forced to guess I would have named Tea For The Tillerman or Teaser and The Firecat. Most listeners I know consider those albums superior to this one. They directly preceded this one and I’m sure that the sales here were caused as a result of those albums popularity. Tea For The Tillerman peaked at #8 on the Billboard Top 200 Albums chart. Teaser and the Firecat reach all the way up to #2 on the strength of three huge singles, “Morning Has Broken,” “Moonshadow” and “Peace Train.” By Comparison, “Bull” spent three weeks at #1 but only had one hit. “Sitting” which peaked at #16. The three hits off of “Teaser” all were top 10 singles with “Peace Train” being the most successful at #2. 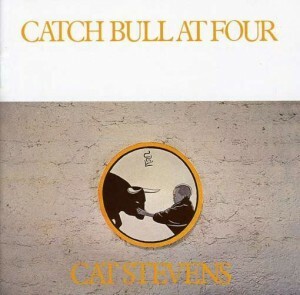 You may have wondered what inspired the title Catch Bull at Four? We’ll tell you. The answer to that question is that it was one of The Ten Bulls. “The Bull” being a metaphor for enlightened in the world of the Zen Buddhist. Now you know. “Sitting” was the lead track on the album and some feel that Cat was starting to look at his time on earth and wondering if he was falling behind or possibly spinning in circles. This ver well could be true since we surely do know how things turned in his life a few years later. I’ve read a few interviews with the now- named Yusuf Islam where he discusses his popular music era. He does say that he’s very proud of it and would have no trouble singing those songs again. However, he does have one song that he says he wishes he had not recorded. That being “The Boy With the Moon and Star on his Head” and its story line which includes alcohol and fornication. I happen to love the song because its story line includes alcohol and fornication. I also loved the variety on the disc. 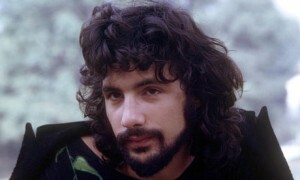 Cat ventured in a few different directions including a spin at his Greek heritage in “O Caritas.” “Can’t Keep it In” was a hit in the UK where it reached #13 but didn’t chart here in the States although was included in a future Cat Stevens Greatest Hits package. Some felt that the album was a little too dark for them. It indeed was a turn in that direction in “18th Avenue (Kansas City Nightmare)” and “Ruins” but to me it was still another brilliant album in the list of many that Cat produced. All songs written by Cat Stevens except as noted.